The Hawaiian Island Chain is famed across the globe. It represents a tropical paradise, a getaway and a dream destination. For others it represents their roots, their culture and their heritage – no matter how far from home they stray. Here at JM Woodworking the Hawaiian Island Chain is one of our biggest inspirations, with each island treasured for its individual beauty, community and contribution. 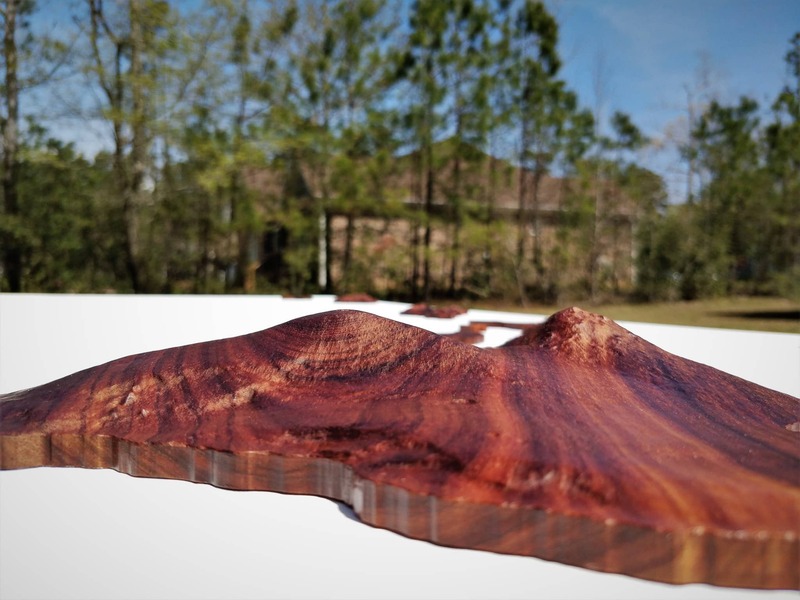 We take particular pride in carving our sculptures of the islands from our native Koa and Mango woods. To capture the natural beauty of our Hawaiian Island Chain in wood, we hand select each piece for its grain, lines and gradients. We use our exquisite mixture of woods to make sure that each version of our finely crafted Hawaiian Island Chain wall art pieces are detailed and reflects the marvelous biodiversity that can be found on the islands. Koa wood is particularly special because it is sought after the world over. It makes sublime sculptures and is endemic to Hawaii. This wood doesn’t grow naturally anywhere else in the world, which is what makes it so highly prized. It comes in deep reds, chocolate browns and even lighter browns – and everything in between. To learn more about this wonderful wood this article, from Volcano Gallery, is very explanatory. As you can see below Koa wood greatly varies in color, grain, and other qualities–regardless your set will be an excellent piece and each island will compliment each other. Generally most sets are a light to medium brown, however, occasionally they can be somewhat darker or light in nature. If there is a specific request in the way of color or curly Koa is of interest–please do not hesitate to contact the artist (email, call, or text) if there are questions or considerations at hand. 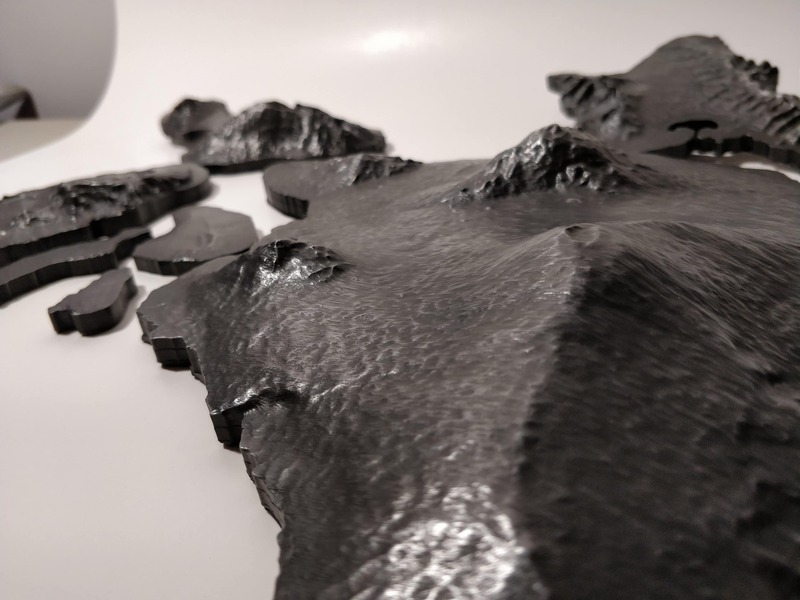 Should you wish to indulge in something a little more industrial for a more modern apartment, we also produce our Hawaiian Island Chain wall art in rich metal finishes. Choose from the glimmering allure of bonded Copper, the steely edge of Iron, the bespoke impression of Bronze or the bright chrome of Aluminum. 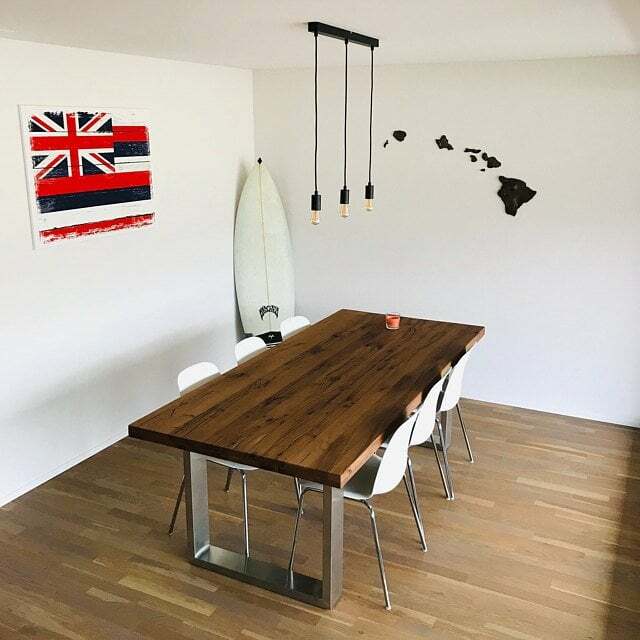 When you purchase one of our Hawaii Island Chain Artworks you will be provided with a template and instructions on the correct hanging of the piece. There is also an online tutorial should you need the help (or if you lose the instructions!) which you can find through our website. Perhaps the best feature of our Hawaiian Island Chain Wall Art is that it is hand crafted by an artist dedicated to the craft, made with great care and shipped straight to your door – you don’t even need to visit us to order this luxurious piece! All you need to do is shop now, and the artwork could be yours in no time at all.